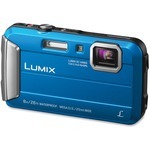 This tough digital camera is the ultimate companion for travel. No matter where you find yourself - diving with sea life, hanging from a mountain or exploring the winding alleys of a foreign market - you will take the best shot possible without worrying about your camera. 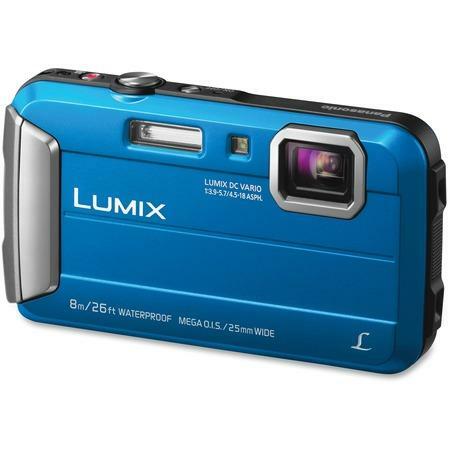 Digital camera is waterproof to 26', dustproof, shockproof from 5' and freezeproof from 14 degrees Fahrenheit. Creative control and creative retouch let you easily set the camera to match your scene and use sophisticated presets to optimize the camera settings resulting in photos you'll be proud of. Panorama function lets you shoot and overlay consecutive horizontal/vertical images and then add filter effects. The red color reproduction of Advanced Underwater Mode easily compensates for the red tones lost in underwater shooting to create more natural underwater images. MEGA O.I.S. automatically compensates for blurring caused by hand-shake to produce sharp, clear images.